Two of our iconic sponsorship properties, The Festival Fashion Show & The Quantum Lounge Technology Showcase. The Showcase features unique brands coupled with technology driven experiences that encouraged guests to get relax, reset, and get involved. The Fashion Show dresses 30 models in leading festival couture on a major stage at the event. The activations travel to major events across the US and offer our brand partners premier, high-visibility placement within the event with high touch engagement. The quantum lounge is a versatile concept that is custom fitted to its environment. Each activation can combines appropriate variations of virtual reality, vibration & light therapy devices, and performance driven experiences designed to encourage guests to drop in. We’ve worked a range of companies with products like Boom Boom Energy, premier clothing brands like Electro Threads & Scummy Bears, and app companies like Sweet Pea Dating App. Whatever your brand, we develop choreographed experiences to deliver the feeling of your brand on-site and transfer that into online content. Ancient ritual meets 21st century technology. 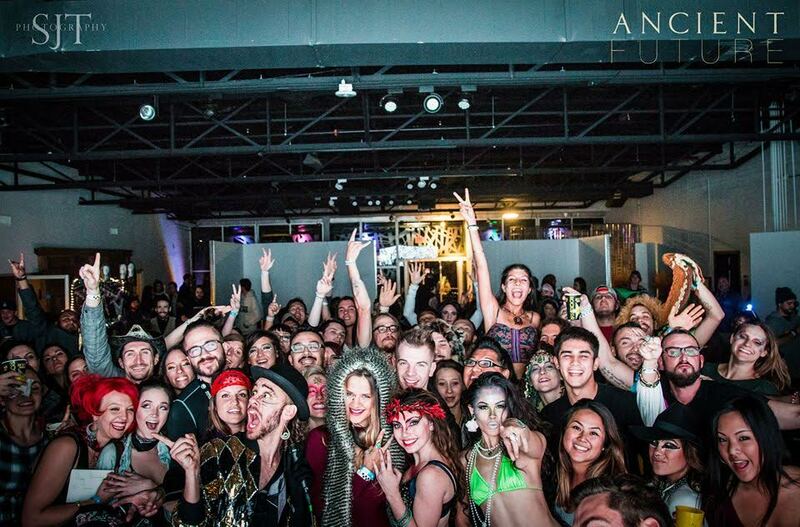 This themed monthly event connected local artists and entrepreneurs around dance music. The event also showcased leading technology & performance, bringing activations such as drone racing, sound healings, and social media gamification. Regularly seeing over 500 attendees and continuing for over 6 months, we rallied communities from several major cities in AZ to make this event a success.